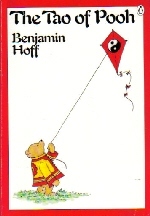 Beliefnet has a Taoist Community forum" at: http://community.beliefnet.com/ Threads include "Reading Tao Te Ching for the first time," "Questions about Taoism." "Religion or philosophy?" "Zen and Taoosm: a Connection?" A Taoist discussion forum named in the spirit of Jack Keroac and the Dharma Bums, is at http://www.TheTaoBums.com It is a "Friendly, active, nonsectarian discussion forum for Taoism, qigong, tai chi, yoga, meditation and much more!" Maury Merkin, "Daoism in brief," is at: http://www.his.com/ This website offers a brief introduction to Taoism and a glossary of terms.